I have been sewing a bit over the last month - but very sporadically. It's been hot, I've been on holiday, and I've been a little discouraged by my last two projects as well. I first tried making Sew House Seven's Mississippi Ave Dress & Shirt, in the top length. 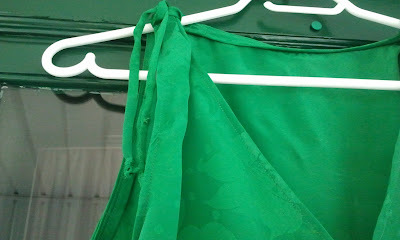 I used a fabric that I've had around for a while, a silky bright green embossed poly. Man, was it a trial!! 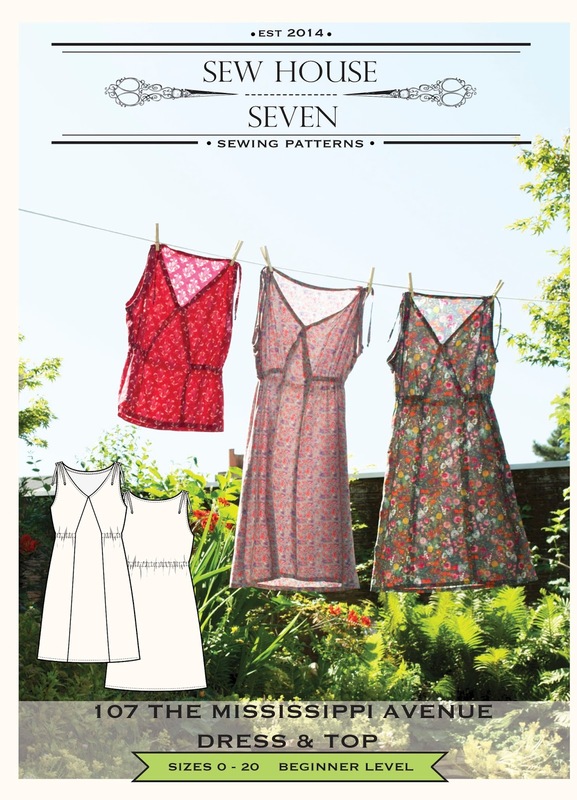 The pattern has a gorgeous picture of airy dresses on a line, and such great design features. Look at that centre panel - what a great feature. The waistline has an elastic casing all the way around, but stopping at either side of that front panel. In theory, this is a lovely dress. On me, it is not. First off, I messed up the point of the "V" when I was attaching the bias binding at the neck. It's bumpy and messy -- I know I *could* unpick it and hand stitch it to fix that...but will I? Probably not, since when I put it on I realized that this style doesn't work for me. I look dumpy and disproportionate in it. I can't quite figure it out. I think I may fix the neck and give it to my sister, who will probably look fab in it, since she looks good in everything. Here's how lovely it looks when it's not on me. closeup of shoulder tie feature; nice in theory! So then I thought I'd try to get over the disappointment with another dress, a McCalls 7115 which I thought looked very 90's - and that was a good thing. I had the perfect ditsy print rayon (which I picked up during PR Weekend in Chicago) to match the feel of it. Well. Again, it is really pretty, and looks fab on the hanger. BUT!! I even sewed all the lovely mauve shimmery buttons on lovingly, and when I tried it on.......yikes! I've reviewed it over at PR, with full gory details. The short form is: I looked like a babushka in it, and it was extremely unflattering. I think I probably spent a good hour or two fiddling with it, trying to come up with ways to alter it to make it work. Nada. It does not work. It's oversized, the proportions are off, and this flowing, dropped waist style just does not suit me at all. I was seduced by the appeal of the pattern cover, but didn't take into account my own figure. 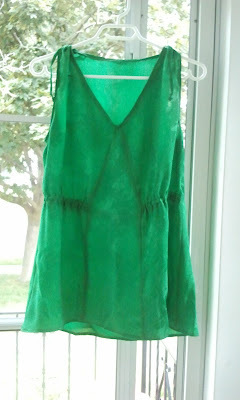 I'm going to chop it up a bit and refashion -- I'm not losing this wonderful fabric. Perhaps into a loose top, if I can finagle that. Anyhow, after two fails it feels kind of daunting to get back on the horse and try again. 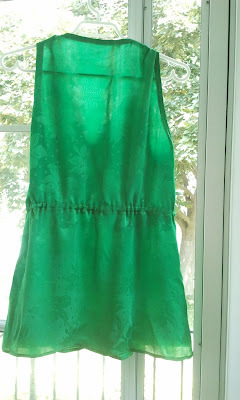 My next project is another rayon dress, and I hope that the fabric doesn't cross me for a third time. Well, I'll only know if I try. Meanwhile, I've been taking a break from my garment sewing and spending quite a bit of time on embroidery. 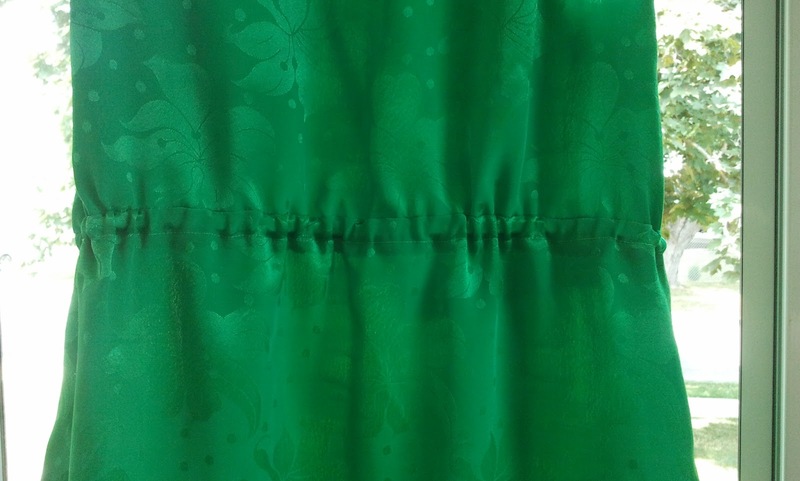 It's soothing to the smarting sewing pride after these two #sewingfails. What about you? What do you do to recover from a disastrous make? Oh no. They both look fabulous on the hangers. I think I would sew up something easy that I know works to lick my wounds after this. Hope your next project works out better for you. What a bummer! I know that when projects don't go well my sewjo tanks. I try to then sew something quick like a TNT that brings the joy back. I do think these look very pretty on the hanger but I know that can be deceiving. Donate to charity and maybe someone will love them! You're right, I think I'll make something that I've already fitted etc. just to get me going again! It is so frustrating to spend time on these projects and then they don't turn out!! I like to return to a favorite pattern that I already previously tweaked to get the sewjo going again, or just take a break like you're doing with the embroidery. I like how with embroidery or little hand stitching projects, that if something goes wrong it's really not a big deal to fix it. Yes, it's the time wasted, and also when you really loved your fabric, boo hoo. Good thing we know how to refashion! That's a great idea -- good palate cleansers to get you ready to sew garments again! They both look like fab makes, it's a shame they dont suit you/you don't feel right on but hope they find a happy home as they are lovely. I seem to make they same mistakes, I look at reviews and see wonderful versions then when I make it I'm so disappointed but I keep thinking my skills are improving with each make, well I hope?? I have had these type of experiences before. 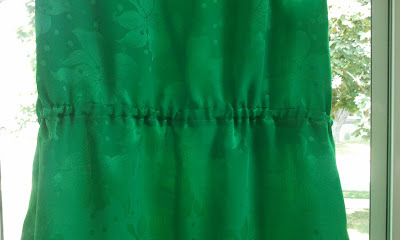 I usually go and sew a pattern that I have made before with good success.